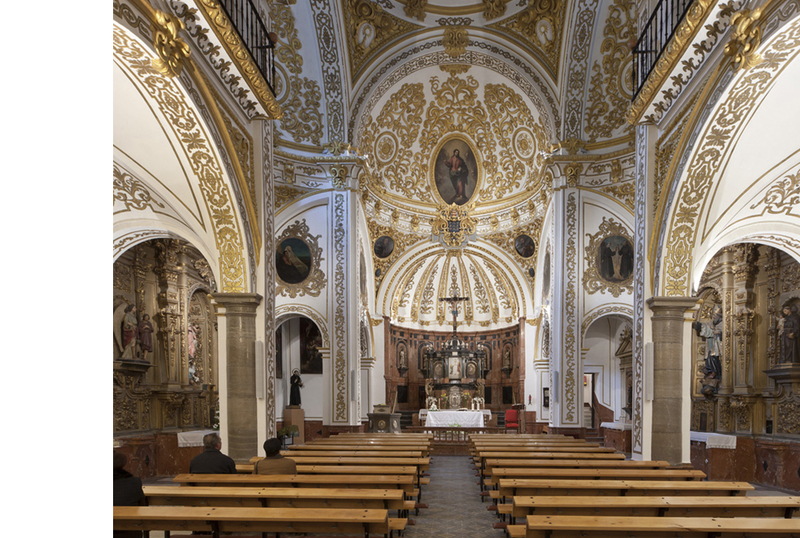 The temple is part of a group of buildings resulting from the restructuring of the Corpus Christi Hospital, which was installed there in the 16th century to provide attention and aid to soldiers. The inside of the church consists of three naves with a Latin-cross floor plan. The wings have quarter-sphere domes and the transept has a hemispherical cupola. The church bears abundant baroque ornamentation, especially in the transept’s cupola. The domes are decorated with canvases with portraits of Augustinian saints and martyrs, some form the Order’s former convent. Eight of these were painted by Bocanegra for that convent’s inauguration ceremony. 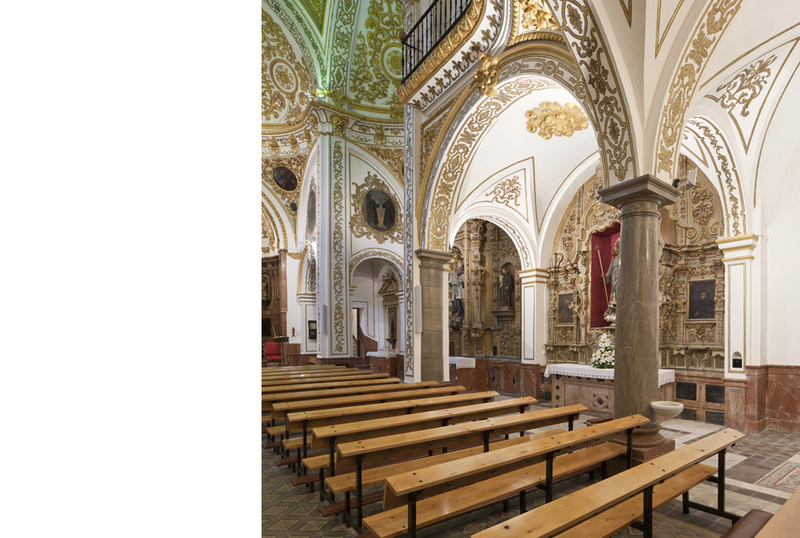 This small temple adjusts to the irregularities of its trapezoidal floor plan through the set of domes in its Latin cross, achieving an extraordinary spatial effect thanks to the stunning verticality of its central area. And that effect is strengthened by the transition in just a few meters from a compressed entry beneath the choir loft to the decompression of the space in successive overlapping domes. 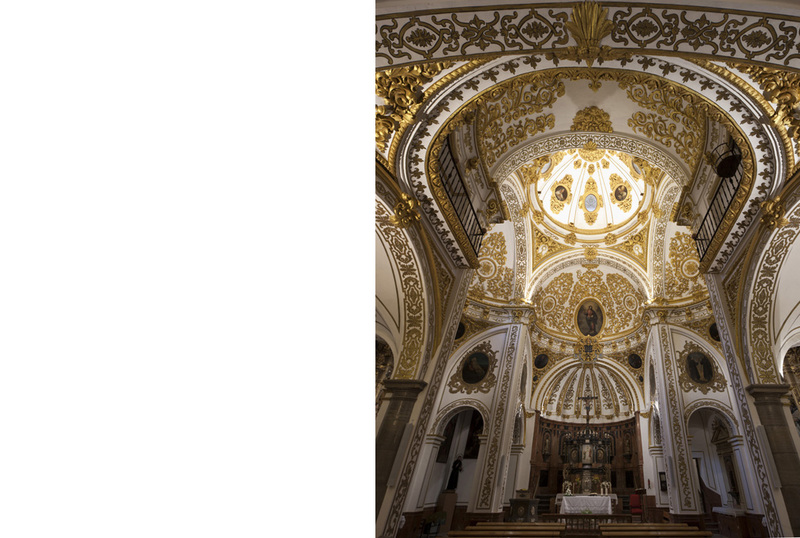 This, then, is an architectural structure of considerable complexity, in keeping with its time and the cultural movement that generated it: the Baroque. Because of the peculiar characteristics of its space, light is the foremost element in this temple, an instrument that makes the space a setting for the celebration of the liturgy. The architecture, far from being just one more part of the infinite space governed by geometry, is made concrete and singular through a visual language that unfolds formally through the combination of light and shadow, making it a part of the ingenious play of moving spaces. 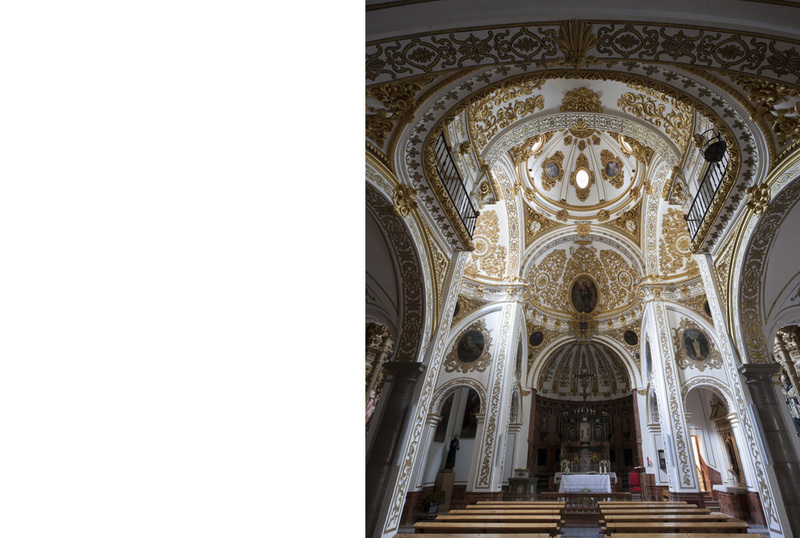 Light and shadow are paired in their involvement with form through refined reliefs, the rhythm of the dome’s volumes and the play between nuances and abrupt changes that make ornamentation the essence of spatial definition.